I offer the BEST uplighting hire service in the whole of the United Kingdom, read on to find out what makes my service so much better than the rest. Uplighting (also known as mood lighting) is the process of lighting up walls of a venue from the base upwards. No other wedding DJ in the country can match the standard of our uplighting hire service. The uplighting effect is columns of light in your choice of colours. The effect is both dramatic and beautiful. Imagine this picture below WITHOUT uplighting… Bare! 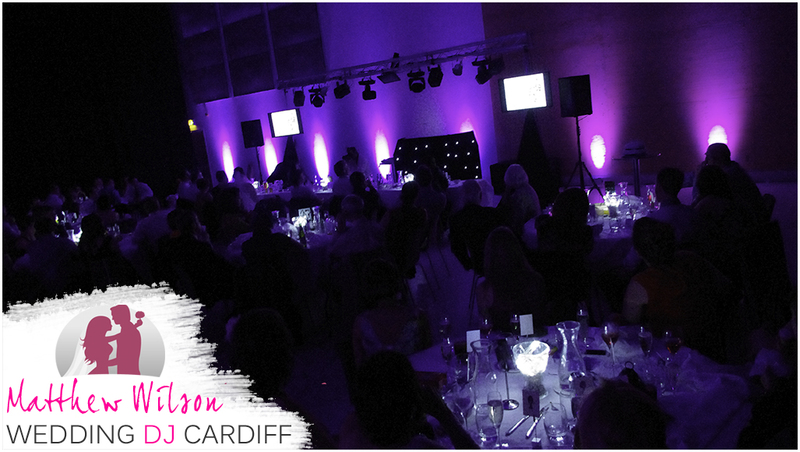 In many cases, it’s the uplighting that makes a venue, that’s why I offer the best uplighting service in the UK. Why our Uplighting hire is the best in the UK. Wi-Fi controlled – I control the uplighter colours from the DJ booth, this means that your uplighting will be synchronised throughout the wedding reception and there is no limit to the number of colours you can have. Battery powered – Our uplighters last 12 hours on full brightness, meaning no messy cables running around your beautiful wedding venue. No heat – Children are drawn to uplighters, ours will not harm them. No dangerous voltages – Our uplighters are battery powered meaning they run at very low voltages, unlike other companies who run at a lethal 240V. Quick to set up – because we do not need power or connection cables for our uplighters, we can set up quickly, causing no disruption to your wedding. Programmed lighting – Once the party has started, our uplighters will change colour in sync with our disco lighting, creating the best wedding disco you have ever seen. Massive stock – I have over 70 wireless uplighters so no matter how grand your wedding plans are, I can cover your requirements. 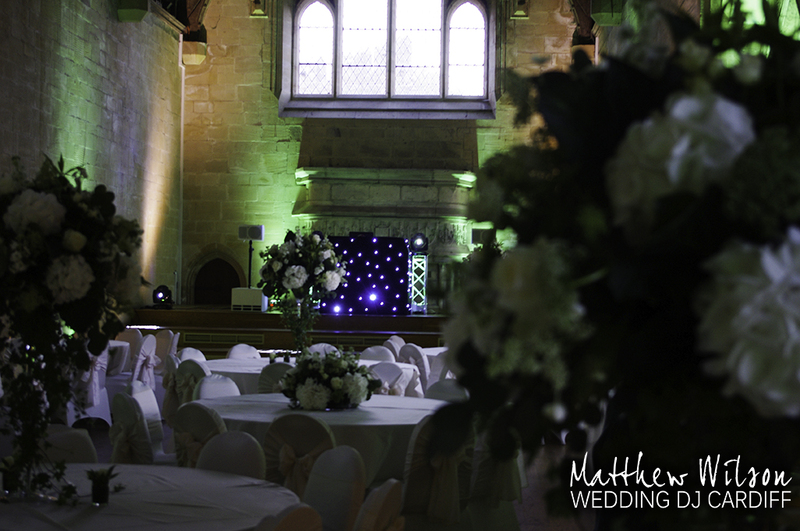 We offer our uplighting as a standalone service or as part of a complete wedding package. Just simply let us know what you require on our contact us page. Back to Wedding Services page.